Fourteen years ago I saw an Amtrak train run down a woman. The train didn’t follow her or chase her; it merely stayed on the tracks. It couldn’t stop in time to save her life and it certainly couldn’t swerve out of the way to protect her. The train was already moving slowly as it approached the Amtrak station in Centralia. I was a hundred feet away . . . the warning bells were ringing. People saw her and froze. No one could do anything to protect her. She didn’t look before stepping in front of the engine. She and her groceries disappeared in an instant as the train rolled over her. Fourteen years ago I saw an Amtrak train run down a woman in Centralia. The tracks between Steilacoom and Chambers Bay made the news. The morning of October 15th, 2018, while checking the news from Tacoma I saw the short news clip from The Morning News Tribune. A man jumped out of the way of one train and was struck by another going in the opposite direction. The tracks between Steilacoom and Chambers Bay made the news. 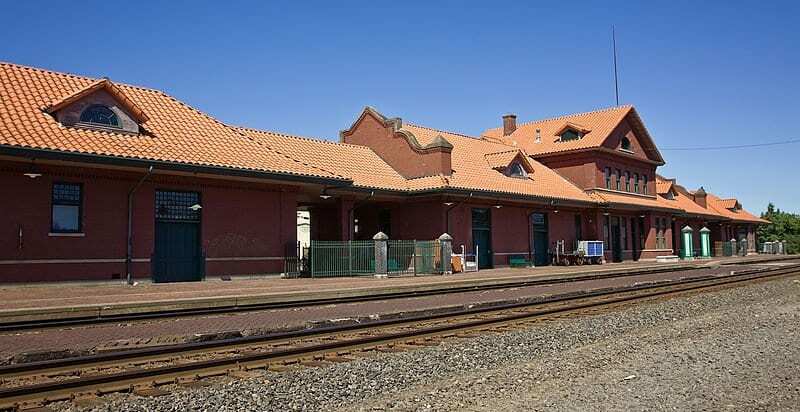 I know the city of Lakewood is afraid that people will be killed when the new high speed trains start running passenger service through the town. The fear is not without reason. Precautions can be taken, but people will die, anyway. People see the tracks, but don’t see the danger. I know the city of Lakewood is afraid that people will be killed when the new high speed trains start running passenger service through the town. I discussed the problem of casual walkers and their deaths with a Burlington Northern engineer several years ago. Although people probably mourned the deaths in Centralia and Steilacoom, I feel saddest for the engineers who drive the trains. The engineer told me of his vision from the driver’s seat. He was approaching a bridge where a man was walking on the track with his back to the train. The engineer did what he could, but the man never heard him and was finally hit by the train and the body cart-wheeled clear of the tracks. We were talking years after the man had been killed, but like my vision of the lady in Centralia, the death scene repeats itself in the mind of the engineer. I discussed the problem of casual walkers and their deaths with a Burlington Northern engineer several years ago. Trains don’t “…run down people…” People who TRESPASS on tracks run the risk of being hit by trains. Trains belong on tracks, people do not. It appears to be an education difficulty…if there are tracks, there are trains. It’s a simple concept. Stay the heck off the tracks. That “…run down people…” line sounds like the completely and sadly misinformed David Anderson. I’m sure he’ll say 37 people have been run down by trains this year in our state. The reality is that 37 people have forgotten this simple rule: IF THERE ARE TRACKS, THERE ARE TRAINS…NO EXCEPTIONS…PERIOD. It is important to note also that if a driver crosses the tracks by avoiding crossing gates that are down, even if there is no collision with a train, the driver can be prosecuted for trespassing. Similarly, a pedestrian can be prosecuted walking along the tracks even if NO train is present. I also wonder why the City of Lakewood didn’t spend a lot more energy getting the railroad to isolate the tracks like Puyallup. Any guesses? Instead of bleating about things that cannot be controlled by city government, like whether or not the city can keep trains from running through Lakewood, there should have been a concerted effort to add as much safety and control devices at ALL the crossings in Lakewood. Educating citizens seems all that is left. Educating people is always the hardest thing to attempt. People do what they want and sometimes that leads to their own peril and that of others as well. Some weep and some just shake their heads. Thanks, for reading and commenting. Thank you for the accounting of the trauma of witnessing a train fatality. This is one of those tough issues. Is this a real public health concern and requires action by government? Or is it the law of nature that we cannot protect everybody against everything? In either case, awareness can be increased by articles like this, stating how easy it is to be caught by tragedy. I’ve seen action from the city of Lakewood repairing fences along with Railroad right of way, but of course fences do not keep people out of areas where they want to go . . . and repaired fences probably keep out even fewer. The west was built by pioneers, but mostly they arrived by locomotion and not wagon trains. Most of our cities have train tracks running through them or nearby. Our economy depends on transportation and railroads are a mainstay of a viable and healthy world of goods and taxes. Trains kill . . . and people who walk, run, or skip along railroad tracks are bucking the odds of survival. They will leave behind friends and relatives who will mourn them . . . and railroaders and bystanders who will see the results of their foolishness forever. Thanks, again for reading and writing in. What’s the big deal? Pedestrian death by train vs. death by automobile……look at the statistics. The “big deal” are the losses of human lives that might have been averted. All of them had friends and/or loved-ones that cared a great deal and will miss them. Being callous is not helpful to them; only hurtful. Thanks for reading and for writing in . . .
You’re right . . . I get so irritated when I see people wearing dark clothes stepping out of nowhere to cross a street both at night and in daylight. . . or joggers running on the street instead of a sidewalk . . .or bicyclists ignoring stops signs and lights . . . as they say you can’t legislate bad judgement . . . it’s just so senseless . . . don’t get me going . . . or people who leave babies and young children in a parked car . . . and . . . and people who should be shot for calling in false alarms based on the color of someone’s skin . . . or . . . let me catch my breath. And all of them senseless . . . Please, continue to read and write in. Thank you Dave, that’s spot on. As for P Rose, eh, your statement is very sad. Watching anyone hit by any mechanical device is terrible, and when it takes there life it leaves you sickened for life. Just be lucky it wasn’t you! Thank you for reading and give your opinion. Exactly . . . the human body is frail . . . no match for almost any large movable device . . . even when that device is not that mobile. Thanks again for reading articles as well as the comments. Comments add so much and give a different perspective on the subject. I am disappointed to hear the callous and accusatory responses regarding the deaths of these people. I guess they have not yet lost a friend or family member in this tragic way. I have been near the tracks both in U.P. and Steilacoom where I simply did not hear it coming. And I did lose an acquaintance in an accident down in Ruston. 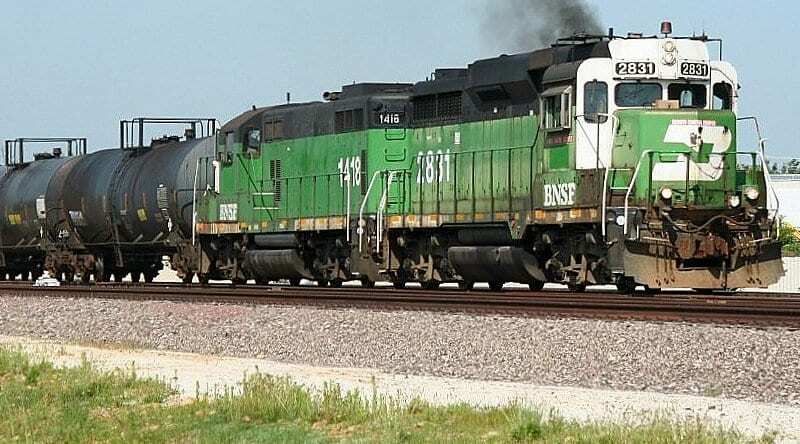 It took 2 years for Burlington Northern to address safety issues after the incident. The City of Lakewood had every right to try to prevent the high speed trains, which already had a route, from barrelling through our city. We are obligated to cross tracks to reach our destination in many instances. Some people may also be hearing or vision impaired. I agree that mitigation and public education are key to increasing safety. Empathy for both engineers, witnesses and those left behind is warranted. I favor human life over the need for speed. We have already seen the result from the test that ended up on the freeway. People who need to cross tracks should be reminded to look both ways and keep looking until they are safely out of the way. Trains can be nearly silent as they approach. As they run them faster and faster this will only exacerbate the potential of death. Thank you for being a loyal reader.